Calendar of Events - Los Angeles Events, Calendars, Ethnic Calendars, Venues. Cities in California - A list of cities in California from Wikipedia. This list is especially useful if you want to find out where a city is located. Convention and Visitors Bureaus - Official organizations set up by local governments to help increase visitation and awareness of their locale. Golf Courses - A map of the LA County Parks golf system, offering affordable green fees, discount programs for seniors and students and a junior golf program. Government Links - LA City and County websites. Police, fire department, library and others. LA Marathon - Annual 26.2 mile run through the streets of Los Angeles. Los Angeles Times - Check out local news. Sports and Sporting Events in Los Angeles - LA Lakers and other Los Angeles sports teams, venues, where to get tickets. Venues - Staples Center, Universal Amphitheatre, Dodger Stadium and more. Fashion Institute of Design and Merchandising (FIDM) - one of the top fashion schools on the West Coast, and in the top 20 nationwide. The campus is located in the Fashion District of downtown L.A., near many tourist attractions. Otis College of Art and Design - Otis is one of the top ten design schools in the nation. The main campus is not far from LAX airport, while the Fashion Design campus is in the California Market Center in the downtown L.A. Fashion District. New York Film Academy (NYFA) - the Los Angeles branch of the NYFA. Classes are located in the backlot at Universal Studios, giving students hands-on experience in a major motion picture studio. The instructors are industry professionals when they aren't teaching. Internships - a list of Los Angeles tourist attractions (and other companies related to tourism) that offer internship programs. Community Map - A map of individual communities within the city of Los Angeles. Demographics - at Los Angeles Almanac. DowntownLA.com - A comprehensive listing of Downtown Los Angeles events, businesses and attractions. Info on Driving Directions, Parking, Walking Tour, more. 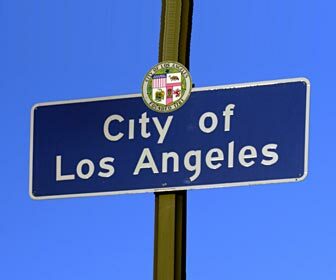 L.A. Almanac - Los Angeles Almanac is the most comprehensive source of facts and statistics about Los Angeles and Los Angeles County on the Internet. Demographics, population, employment, business, more. Start Pages - Vast collection of links all on a single page. It's intended as an efficient starting point for a search of a particular topic. Here are two examples: LosAngeles.StartPagina.nl - a list of Los Angeles based links; and Californie.Beginthier.nl - a collection of California links. Visitors Bureaus - see Convention and Visitors Bureaus above.